Allegorithmic chief product officer Jérôme Derel runs through the new MDL material editor in the upcoming Substance Designer 5.5 at the developer’s Substance Days user event at Gnomon earlier this week. Originally posted on 27 July 2016. 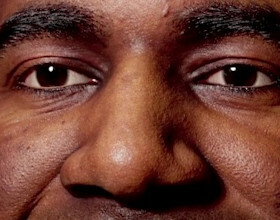 Scroll down for news of the commercial release. Allegorithmic has unveiled Substance Designer 5.5, the next update to its texture-creation software. Features include an integrated editor for materials in Nvidia’s MDL language, expanded FBX support, and a Linux version. The software was previewed at the developer’s worldwide user event, Substance Days 2016. One headline feature of Substance Designer 5.5 is a new node-based editor for authoring materials in Nvidia’s Material Definition Language (MDL), shown in the video above. The MDL format is designed to enable users to share physically based materials between different DCC software packages, and have the material display consistently within each host application. Although Substance Designer has supported MDL since version 5.3, when Nvidia’s Iray renderer was integrated into the software, the update will make it possible for users to author their own custom MDL shaders. MDL materials can be authored using the same visual programming workflow as standard Substances. Users can work an MDL node graph and a Substance node graph simultaneously, and even connect the two together. Other features in the upcoming release include expanded support for the FBX file format, with users able to import cameras as well as geometry; and a new Linux edition of the software. The update will bring Substance Designer into line with Substance Painter, its sister application, which was made available on Linux as well as Windows and Mac OS X earlier this year. 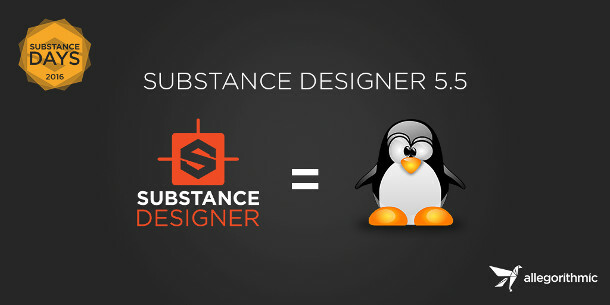 Updated 26 August 2018: Substance Designer 5.5 is now shipping for Windows, Linux and Mac OS X. An Indie licence, available to anyone earning under $100K/year, costs $149; a Pro licence costs $590.